Four dogs that consumed the product were found to have low levels of free T4 and thyroid-stimulating hormone. 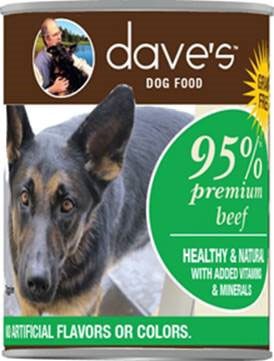 Dave’s Pet Food, based in Agawam, Massachusetts, has recalled 1 lot of its dog food due to potentially elevated levels of beef thyroid hormone. High levels of beef thyroid hormone can cause dogs to exhibit signs such as increased thirst, urination, and heart rate, along with weight loss and restlessness. Signs may cease if consumption of foods with beef thyroid hormone stops, but prolonged consumption may increase the severity of signs. More severe effects include vomiting, diarrhea, and rapid or labored breathing. The FDA analyzed the dog food after receiving a complaint that 4 dogs consuming the food were found to have low levels of free T4 and thyroid-stimulating hormone. Upon testing, a single batch (548 cases) was found to have elevated levels of thyroid hormone. Consumers who purchased the recalled product should stop feeding it to their dogs immediately and call Dave’s Pet Food at 1-888-763-2738 for a refund or coupon for a replacement product.